Netherton Industrial Estate is one of the more established and well known industrial estates within the Motherwell and Wishaw area, comprising a mixture of larger distribution units and trade counter operators. Approximately 1.2 acres yard to let. (May split). Prominent location on Netherton Street, south west of Wishaw town centre. £20,000 per annum rental. Fronting Netherton Street to the south west of Wishaw Town centre in an established industrial and commercial area with Netherton Industrial Estate, Excelsior Park and Wishaw General Hospital nearby. Roughly level site of approximately 2 acres, surfaced and securely fenced. A MODERN, HIGH QUALITY detached warehouse unit, with office / ancillary accommodation. Sitting within an attractive landscaped environment the property occupies a PROMINENT position on the popular Excelsior Park estate and enjoys a VISIBLE location on a main arterial route. Set within landscaped surroundings the MODERN single storey units are located on Excelsior Park which is ideally located in Wishaw, Motherwell. The estate benefits from EXCELLENT TRANSPORT LINKS with Glasgow 17 miles away and Edinburgh 33 miles away. Mid terraced single storey unit due to be refurbished, located on the POPULAR and WELL ESTABLISHED Canyon Road Industrial Estate in Wishaw. Situated in a PROMINENT position the unit is set within landscaped surroundings and benefits from EXCELLENT TRANSPORT LINKS. Excelsior Park is ideally located in Wishaw, Motherwell benefiting from EXCELLENT TRANSPORT LINKS with Glasgow 17 miles away and Edinburgh 33 miles away. On site there is GOOD PARKING and circulation space and the mid terraced unit is set within landscaped surroundings. 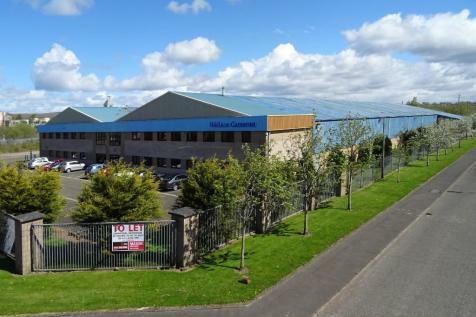 MID TERRACED MODERN INDUSTRIAL unit situated on the POPULAR and WELL ESTABLISHED Excelsior Park in Wishaw, Motherwell. The estate is ideally located with EXCELLENT TRANSPORT LINKS to Glasgow 17 miles away and Edinburgh 33 miles away. On site there is GOOD PARKING and circulation space.